Tufts’ program is designed to give high school students insight into the rigors of veterinary school. 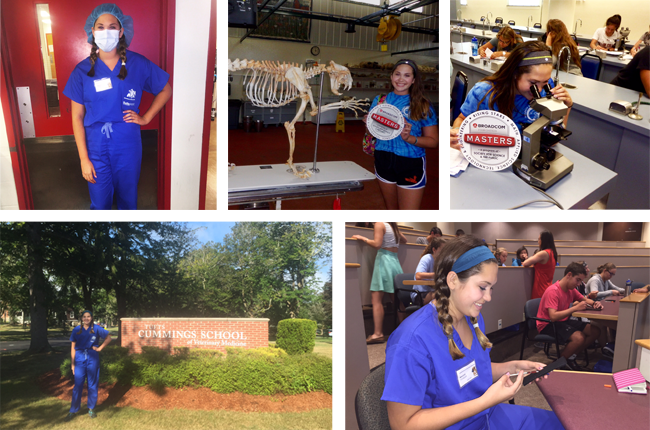 During the program, we attended lectures, studied animal anatomy through fascinating dissections and hands-on palpitations, completed hospital rounds with fourth-year veterinary students, and explored the many different possible career paths within veterinary medicine. My daily agenda was varied and included activities such as learning proper techniques for handling animals, observing surgical procedures, and learning how to perform routine check-ups on a variety of different animals. One of my favorite activities was suturing bananas to practice proper technique. I aspire to become an exotic animal veterinarian, so attending Tufts was important to me. It required scheduling flexibility. In addition to being able to attend Tufts, virtual learning at FLVS has afforded me the ability to pursue other career-related activities. I regularly intern at my local veterinary hospital where I shadow the veterinarians, observe surgical procedures, learn how to do basic animal exams, and learn how to conduct lab tests. I also volunteer at a zoo where I handle a variety of animals and educate the public about them. Without the flexibility of FLVS, these invaluable experiences would not be possible because it requires time outside of school to participate in the activities. Acceptance into veterinary school requires as many career-related hours as possible. In the end, although it was my research that contributed to the scholarship for this veterinary intensive, it was FLVS that allowed me the flexibility to win it in the first place! 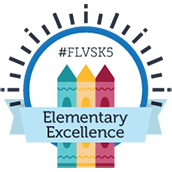 Without the support that FLVS provides, my education would not be at the level at which it is currently. Instead of traveling around the country to attend science-related events and activities and spending countless hours on my research or in the veterinary hospital, I would be confined to a brick-and-mortar school, following the typical path devoid of stimulation from individual-based learning. 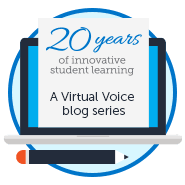 In addition to the virtual school itself, I would also like to thank my FLVS teachers over the years – and my wonderful parents for recognizing the potential of FLVS and always pursuing a better learning environment for me and my crazy big aspirations! 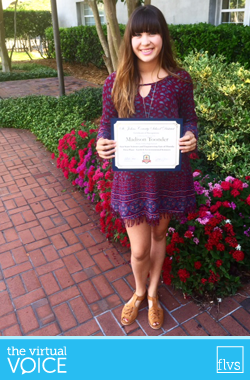 Madison has been attending FLVS for three years. Thanks to her flexible schedule, she’s been able to conduct scientific research and compete in STEM competitions throughout the year. This entry was posted in Homeschool Edition, Student Edition and tagged Animals, Broadcom Masters, Career Readiness, Extracurriculars, FLVS Virtual Science Fair, Goals, Homeschool, Marine Biology, Marine Science, Online Student Success Stories, Oysters, Science, Student Accomplishments, Student Achievements, Student Activities, Student Experience, Student Research, Student Success, Student Voice, Veterinary Medicine on September 13, 2016 by Guest Blogger. A wonderful blog post. A true FLVS inspiration. I hope you continue to take us on your journey with more stories of your real-world education! Thank you very much for your kind response! I am extremely grateful for your support in what I am passionate about. I look forward to writing more blogs regarding what is coming next in my life. What is Tufts, or is there an abbreviation that I missed?